Credit: NASA/HST. Upper-right: Close-up of Himiko. 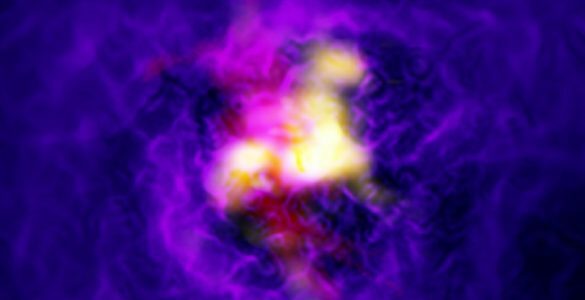 Astronomers using the combined power of the Atacama Large Millimeter/submillimeter Array (ALMA) telescope and NASA’s Hubble Space Telescope have discovered a far-flung trio of primitive galaxies nestled inside an enormous blob of primordial gas nearly 13 billion light-years from Earth. 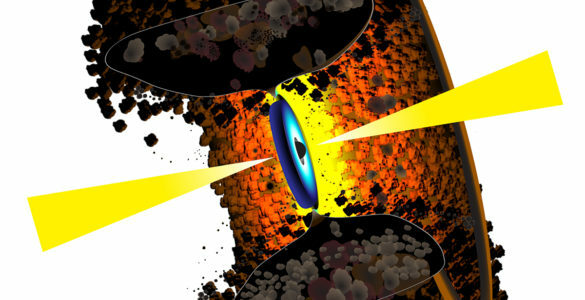 Researchers first detected this object, which appeared to be a giant bubble of hot, ionized gas, in 2009. Dubbed Himiko (after a legendary queen of ancient Japan), it is nearly 10 times larger than typical galaxies of that era and comparable in size to our own Milky Way. Subsequent observations with the Spitzer Space Telescope suggested that Himiko might represent a single galaxy, which would make it uncharacteristically massive for that period of the early Universe. 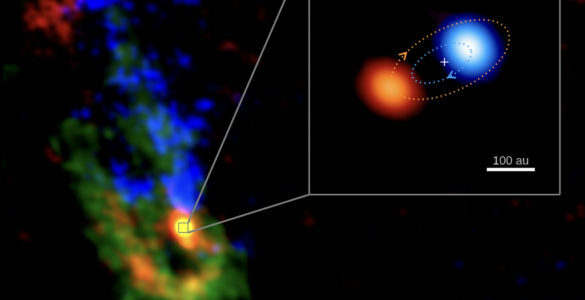 “The new observations revealed that, rather than a single galaxy, Himiko harbors three distinct, bright sources, whose intense star formation is heating and ionizing this giant cloud of gas,” said Masami Ouchi, an associate professor at the University of Tokyo who led the international team of astronomers from Japan and the United States. Areas of such furious star formation should be brimming with heavy elements such as carbon, silicon, and oxygen. These elements are forged in the nuclear furnaces of massive, short-lived stars like those bursting into life inside the three galaxies detected by Hubble. At the end of their relatively brief lives, these stars explode as supernovas, seeding the intergalactic medium with a fine dust of heavy elements. The astronomers speculate that a large fraction of the gas in Himiko could be primordial, a mixture of the light elements hydrogen and helium, which were created in the Big Bang. 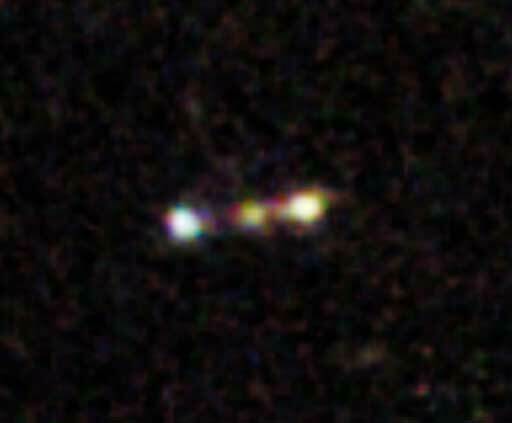 If correct, this would be a landmark discovery signaling the detection of a primordial galaxy seen during its formation. The ALMA data were taken as part of the early science program with only a portion of the array’s eventual full complement of 66 antennas. 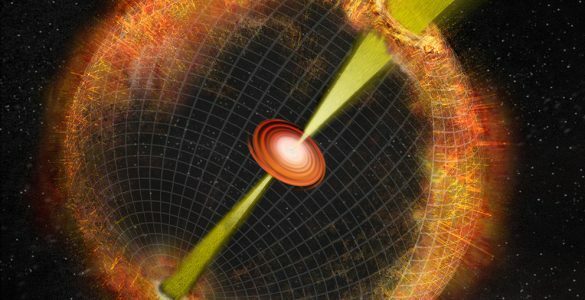 Future research with the complete ALMA telescope and the next-generation of ground- and space-based observatories will look even further back in time, shedding more light on the origin and evolution of the first stars and galaxies. 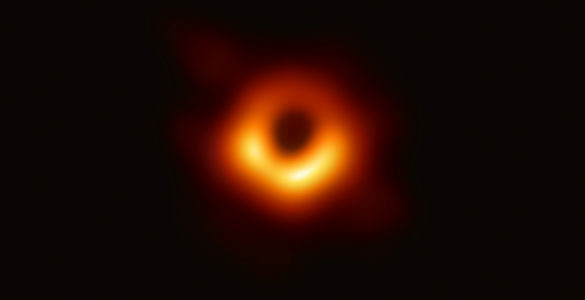 The results are accepted for publication in the Astrophysical Journal. 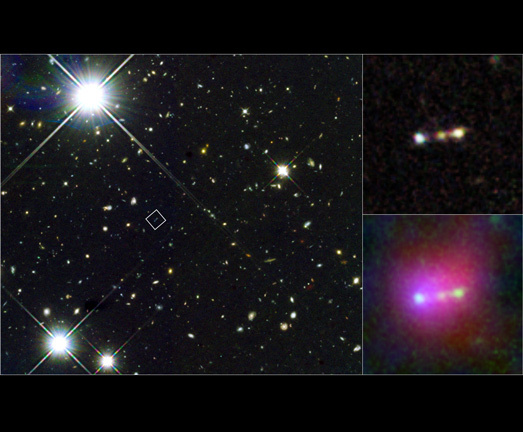 This composite image reveals the structure of Himiko, the merger of three young, bright galaxies as seen in the early Universe. Left: Himiko and other distant galaxies. Himiko as seen with the Hubble Space Telescope and the Subaru Telescope located on Mauna Kea in Hawaii. The blue halo (Subaru) represents the hydrogen gas that is being ionized by the intense star formation in the trio of galaxies. Himiko as seen with Hubble. 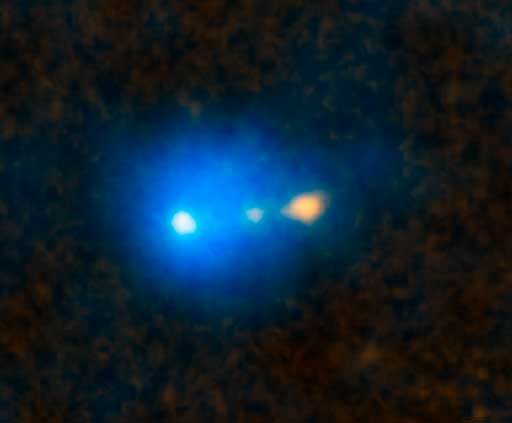 The three infant galaxies are clearly resolved where only one was known to exist before. These objects are extremely energetic, suggesting they are undergoing a period of intense star formation. Caltech Astronomer Richard Ellis describes the discovery and implications of three primitive galaxies nestled inside a halo of ionized gas. 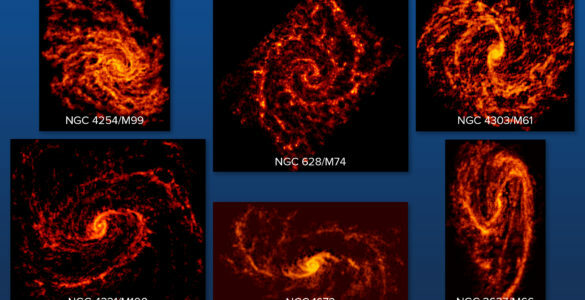 ALMA is revealing new insights into the relationship between star-forming clouds and their host galaxies. 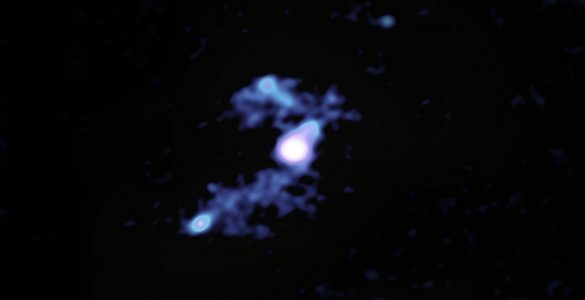 New ALMA data reveal distinct streamers of material being pulled from three smaller galaxies into the larger galaxy W2246-0526, the most luminous known galaxy in the universe.